Now a fully trained unicorn hunter, Astrid Llewelyn is learning that she can’t solve all her problems with a bow and arrow. Her boyfriend has left Rome, the Cloisters is in dire financial straits, her best friend’s powers are mysteriously disintegrating, and her hope of becoming a scientist seems to be nothing but an impossible dream. So when she’s given the opportunity to leave the Cloisters and use her skills as part of a scientific quest to discover the Remedy, Astrid leaps at the chance. Finally, she can have exactly what she wants—or can she? At Gordian headquarters deep in France, Astrid begins to question everything she had believed: her love for Giovanni, her loyalty to the Cloisters, and—most of all—her duty as a hunter. Should Astrid be saving the world from killer unicorns or saving unicorns from the world? I read Rampant earlier this summer, and found it to be a really enjoyable read (click here to read my review). 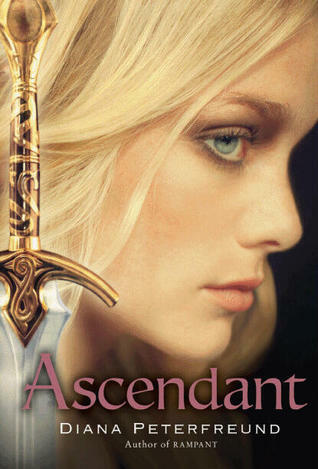 Astrid was a realistic and interesting main character, and I'm excited to read more about her. I think, however, that the last sentence of this summary is what has me wanting more. Plus, I want this gorgeous cover in my collection. Never read Rampant, but I'm adding it to my TBR :) I heard so many great things about it!